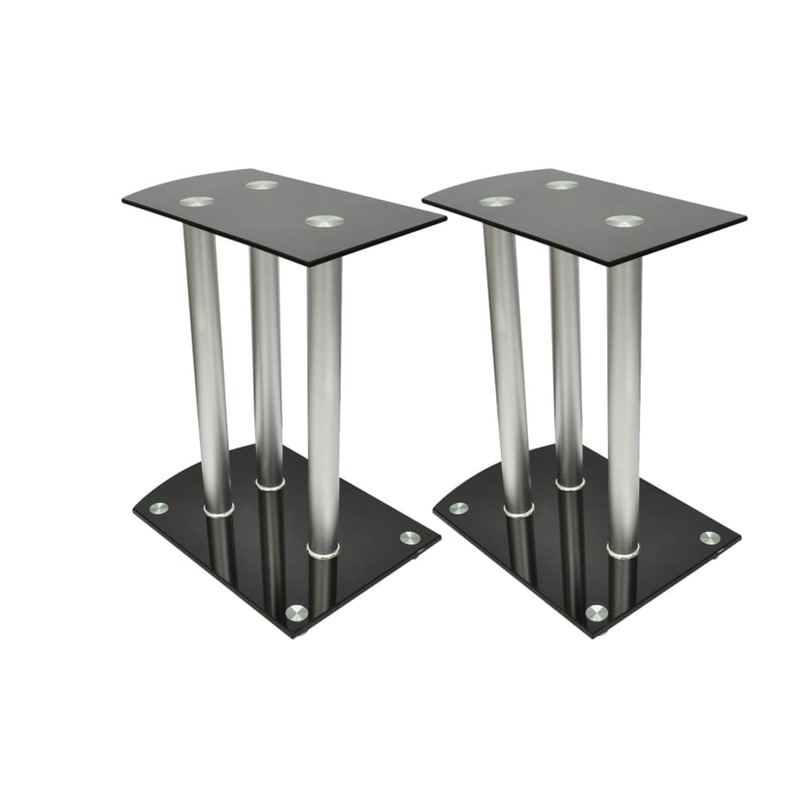 This pair of speaker stands has been made to compliment monitor speakers. 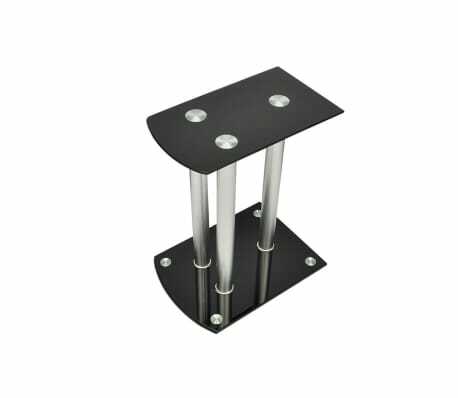 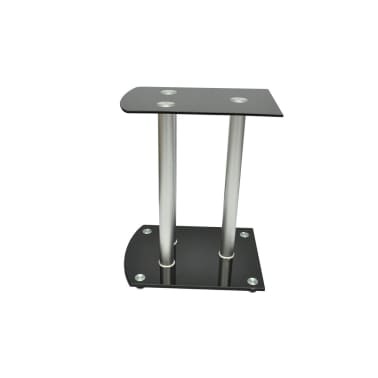 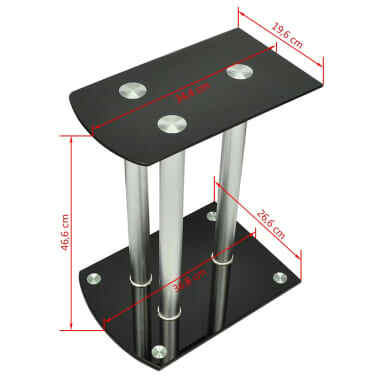 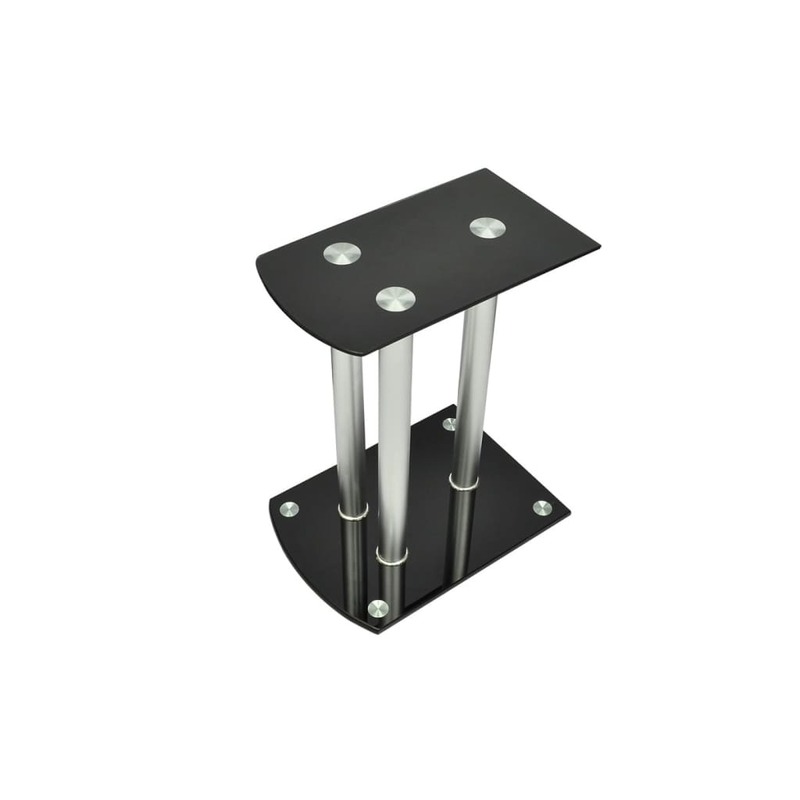 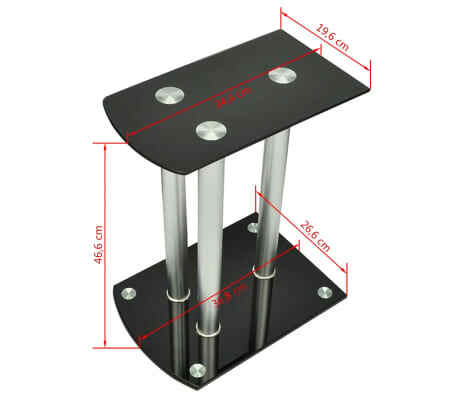 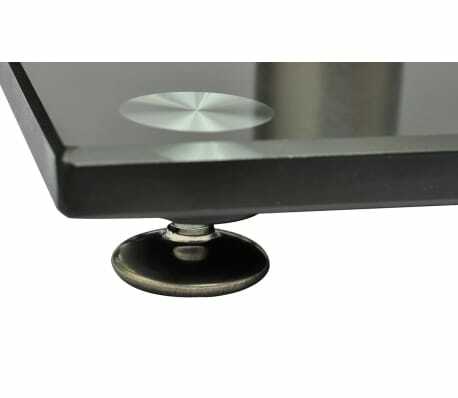 The top and base plates of the Stand are made of safety glass. There are three aluminum pillars on each stand, which will provide sturdy support for the speakers. 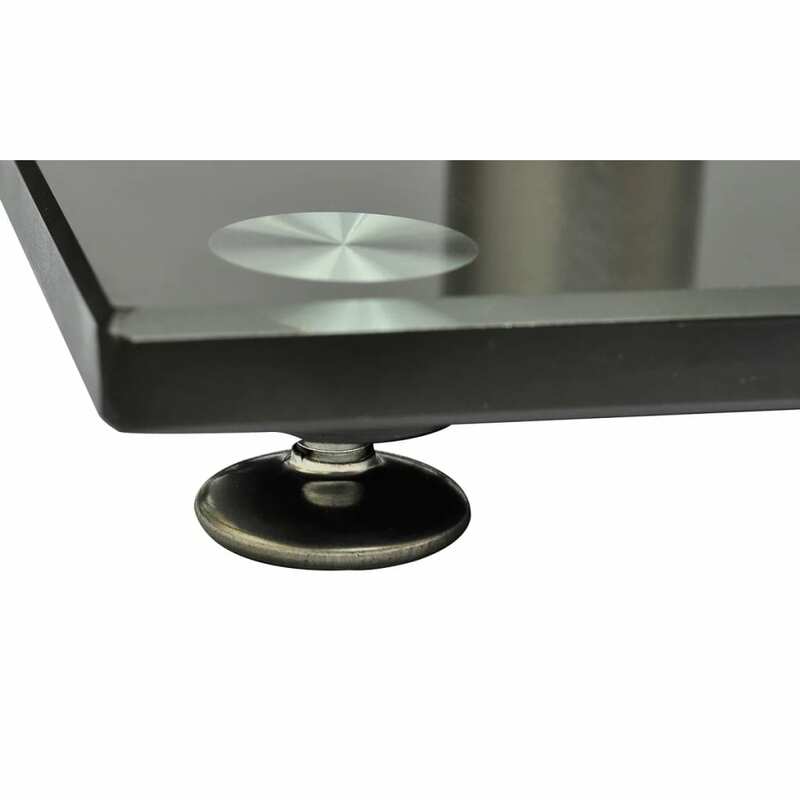 The modern elegant design blends well with any contemporary home decor. 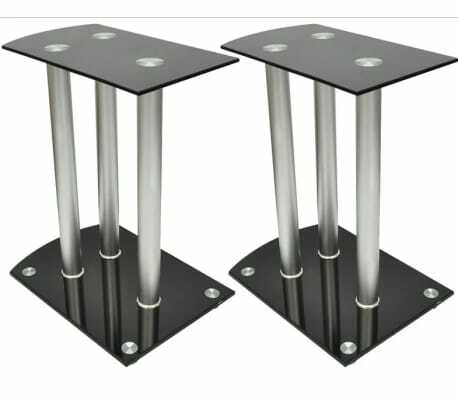 The four round spikes under the base plate help to reduce vibration and prevent your carpet or wood floor from being flattened or damaged by the base plate. 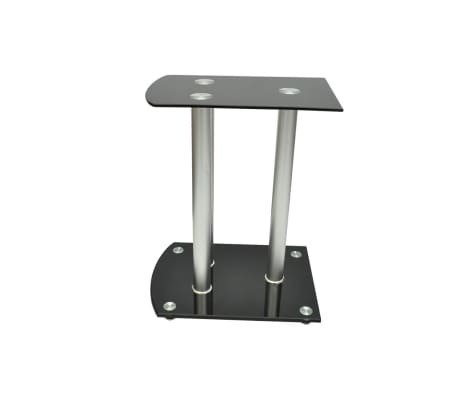 They also make lifting of the stand easier. 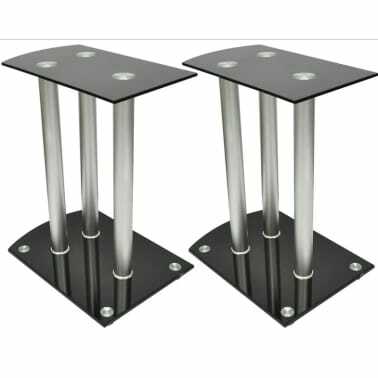 Delivery includes two speaker stands.